AHS is a premier private online high school and middle school. 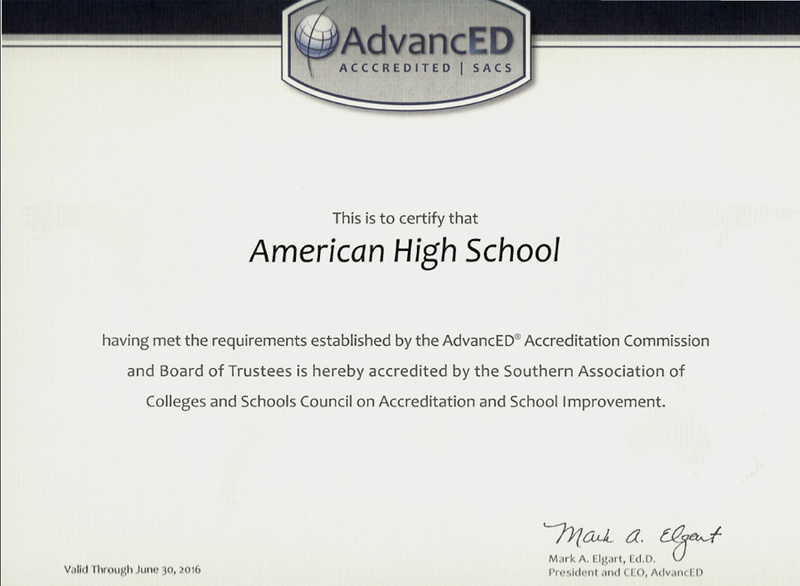 American High School is one of only a handful of schools to be fully accredited by leading regional and national accreditation authorities. Our student-centered, uniquely superior educational experience is customized to meet your academic needs. We believe the curriculum should “fit” the student rather than trying to make the student “fit” a curriculum. 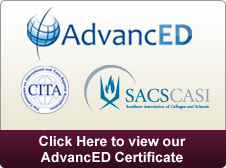 American High School is accredited and approved by the highest authorities at the state, regional, national, and international level, including: the Southern Association of Colleges and Schools (SACS);AdvancED, the unified organization of the North Central Association Commission on Accreditation and School Improvement (NCA CASI); and The Commission on International and Trans-Regional Accreditation (CITA). With an accredited institution, a student has some assurance of receiving a quality education and gaining recognition by other colleges and by employers of the course credits and degrees earned. Accreditation is an affirmation that a college provides a quality of education that the general public has the right to expect and that the educational community recognizes. As an international educational leader, only a handful of schools are as accredited as American High School. The mission of American High School is to provide middle school and high school students with a rigorous and flexible education that will prepare them for post-secondary opportunities. We offer a full range of programs from technical to academic. American High School uses the latest technological advances to deliver online courses that create opportunities for students to achieve success, excellence, and equity in education. We offer a complete, online curriculum for grades 6-12, AP courses, SAT/ACT test preparation, and tutoring programs. American High School is committed to helping students attain their hopes and dreams by providing a quality education in a safe and nurturing online environment. The administrators, teachers and staff are committed to helping students reach their highest academic potential. We believe that families play an important role in helping ensure their academic success.